Order any medium stuffed crust pizza & get 20% off. This offer valid only for Mumbai. Use coupon code to avail this offer. Order now & enjoy delicious medium pan pizza. For more exciting offers please visit on site. All User Offer - Order now and get Rs.100 cashback across sitewide at Faasos. Use coupon code to avail this offer. Minimum orders of Rs.300 and above. This offer cannot be combined with other coupons. Buy magic pan starting at Rs.89 at Pizza Hut. No coupon code required. Choose from wide range of Magic Pan-like Paneer & Capsicum, Chola & Onion, Corn, Chicken keema & Corn, Chicken Hot N Spicy and more. Offer valid on products which are listed on landing page. Buy Desserts of choco truffle cake at Rs.89 at Pizza Hut. No coupon code required. Offer valid on products which are listed on landing page. Order now and enjoy the delicious cake at Pizza Hut. Order any medium stuffed crust pizza & get 20% off. This offer valid only for Bangalore. Use coupon code to avail this offer. Order & enjoy delicious medium pan pizza. For more exciting offers please visit on site. Order any medium stuffed crust pizza & get 20% off. This offer valid only for Delhi. Use coupon code to avail this offer. Order now & enjoy delicious medium pan pizza. For more exciting offers please visit on site. Buy sides dishes starting at Rs.30 at Pizza Hut. Try new range of exciting sides - appetizers & pasta along with your favorites pizzas.No coupon code required. Offer valid on products which are listed on landing page. Get Family Fun Meal For 2 at just Rs.565 at Pizza Hut. Valid on 1 Medium Pizza + 1 Portion Of Garlic Bread And 1 Beverage (Rs.50 Extra Per Pizza For Non-Veg Pizza). Offer valid on products listed on landing page. Buy drinks starting at Rs.35 at Pizza Hut. No coupon code required. Choose from wide range of Red Bull, Frooti, Cafe Cuba, Appy Edge, 7-Up, Mirinda, Pepsi and more. Offer valid on products which are listed on landing page. Place order now at Pizza Hut for delicious veg pizza starting at Rs.299. Choose from wide range of pizza are cracker thin, Supreme, signature, favourite, classic, hand tossed a big pizza etc. Shop now & save more. Order at Pizza Hut and buy Magic Pan Box of 4 Veg with Onion, Corn, Paneer & Capsicum, Chola & Onion at just Rs.299 at Pizza Hut. Offer valid on products which are listed on landing page. Order now and save more. Place order now at Pizza Hut for delicious non-veg pizza starting at Rs.349. Choose from wide range of pizza are cracker thin, Supreme, signature, favourite, classic, hand tossed a big pizza etc. Order & save more. Order at Pizza Hut and buy Magic Pan Box of 4 Non-Veg with Onion, Corn, Paneer & Capsicum, Chola & Onion at just Rs.409 at Pizza Hut. Offer valid on products which are listed on landing page. Order now & save more. Amazon Grocery Sale - Get up to 30% off on grocery items at Amazon India. Choose India's Largest Grocery & Gourmet Foods Store Get your groceries delivered home and great discounts at your favourite online supermarket. With over 3.5 lakh products across Tea, Coffee & Beverages, Snack foods, Cooking Supplies, Chocolates & Desserts, Dried Fruits, Nuts & Seeds, Breakfast Foods, Baking Supplies, Hampers & Gourmet Gifts and other Meal essentials, you can find all you are looking for to make your home a restaurant. Subscribe & Save to get additional 5-10% off on groceries. Get a cashback of an amount of 30% of the value of such transaction, up to a maximum cashback of Rs.75. Cashback under this Offer will be provided in the form of Amazon Gift Card, issued by Qwikcilver Solutions Private Limited ("Gift Card"), which is redeemable into Amazon Pay Balance associated with the Amazon.in account. Get Rs.50 cashback when you pay with Freecharge on Domino's. Flat Rs 50 Cashback when you pay with FreeCharge on Domino"s Pizza, minimum order of Rs 499. Cashback offer is valid once per user only. Offer applicable only on Dominos website and App. Dominos Offer - Get 20% up to Rs.200 cashback on orders via Pockets by ICICI Bank at Dominos. Promo code not required for this offer. Mojo Pizza All Users Offer - Flat 50% OFF. Valid only on the 'FEAST' category of pizzas. Valid only on Mojo Pizza APP & WEB. Not Valid on Sides, Steal Deal Feb, Half & Half Pizza, Pack of 2, Drinks & Desserts categories"
Happy Hours Sale: Buy 1 Get 1 free at Box8. Buy Meal for 2 @ Rs.99 Each at Box8. Dominos Pizza Tuesday Offer - Buy 2 regular size pizzas starting @ Rs.99 each only at Dominos. Buy sizzling fresh, delicious pizzas online at Domino's pizza. Dominos coupon code not required for this offer. Buy Drink + Dessert Combo @ Rs.88 at Box8. 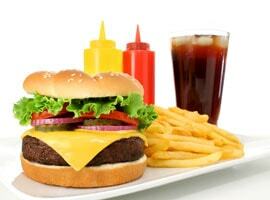 Dessert + Beverage worth Rs.116 at Rs.88. Valid Only on BOX8 APP & WEB. 8 Pass Pro - Get flat 25% off on 20 orders at Box8 Desi Meals. Buy Desserts Pack of 4 @ Rs.198 at Box8. Buy drinks pack of 2 @ Rs.56 at Box8. Get flat 50% off + 50% cashback through Paypal on first order at FreshMenu. New users get 50% off on the first order. Maximum discount applicable is Rs.100. Choose from Freshmenu yummy meals, salads, appetizers, sandwiches, desserts, burgers & many more. Box8 New User Offers - Buy 1 Get 1 Free. Valid Only on Supreme Products. Order now for tasty snack combos and save Rs.91 at FreshMenu. No coupon code required. Offer valid for a limited period. Choose fr Chicken tikka leg burger + garlic bread at Rs.199. And get cashback on Paytm & Amazon pay. Get Reward Point To Eat - Pay using Tez by Google. Hit the Rs.500 mark over multiple orders win a reward for every Rs.500 spent at FreshMenu. Promo code not required for this offer. Get 50% cashback up to Rs.300 on your first three orders using Paypal Wallet at FreshMenu. No coupon code required. Order now and get more discounts. Coupon For February 2019 - Big 10" Paneer Mayhem Pizza @ Rs.49. Get Any Pizza @199 + Pay via PayPal for 75% Cashback. April Month Coupons - Get flat 50% off on Fusion Box at Box8. Latest Box8 Coupon - Flat 100% cashback on your order at Box8. Use coupon code to avail this offer. Valid for all users. Valid only on BOX8 APP & WEB. Not valid on the side, 8pass, meals for 2, drinks & desserts categories. Minimum order Rs.200. Valid only on Online payment. Valid for New User - Get Any Pizza @ Rs.199 + Pay via PayPal for 75% Cashback. Not Valid on Sides, Steal Deal Feb, Half & Half Pizza, Pack of 2, Drinks & Desserts categories. FreshMenu Promo Codes For April 2019 - Flat Rs.50 off on breakfast at FreshMenu. Minimum order of Rs.200 & above. Use best FreshMenu coupon code to avail this offer. The offer is valid until 30th April 2019. Coupon code used 4 times by the user in the month. Box8 Coupons - Flat Rs.75 off on all food products. Valid only on the Box8 App & WEB. Not valid on sides 8Pass, meals for 2, drinks & desserts categories. FreshMenu Best Offer - Get 50% off on meals at FreshMenu. Find latest FreshMenu coupons & cashback offers for online food orders at COUPONRANI.COM. Avail new FreshMenu wallet and Bank offers also. Get flat 25% off on all orders at Box8. Not Valid on Sides, 8Pass, Meals for 2, Drinks & Desserts categories. FreshMenu Voucher Code For April 2019 - Flat Rs.60 off on lunch at FreshMenu. Minimum order of Rs.300 & above. Use just arrived FreshMenu code to avail this offer. The offer is valid until 30th April 2019. Coupon code used 4 times by the user in the month. FreshMenu Deals April 2019 - Flat Rs.50 off on dinner at FreshMenu. Minimum order of Rs.300 & above. Find today's FreshMenu coupons and offers for online food orders at COUPONRANI.COM. Use exclusive FreshMenu coupon to avail this offer. The offer is valid until 31st April 2019. Coupon code used 4 times by the user in the month. FreshMenu Discount Sale - Get soups @ Rs.99 plus salads @ Rs.150 at Freshmenu. Coupon code to avail this offer. Eat right, eat fresh, eat healthily. Get free delivery on first 3 orders. Order now at Mojo Pizza and grab 1 get 1 free on Pizza. Valid only on 'FEAST' categories of pizzas. FreshMenu Discount April 2019 - Flat Rs.50 off on desserts at FreshMenu. Minimum order of Rs.150 & above. Use exclusive FreshMenu voucher code to avail this offer. The offer is valid until 30th April 2019. Coupon code used 4 times by the user in the month. FreshMenu Best Deals April 2019 - Flat Rs.50 off on desserts at FreshMenu. Minimum order of Rs.150 & above. The widest range of beautifully crafted delicious food at FreshMenu. Use exclusive FreshMenu deals to avail this offer. The offer is valid until 30th April 2019. Coupon code used 4 times by the user in the month. Order fresh mains & sides online food starting at Rs.159 at Freshmenu. No coupon code required. Chef made meals, inspired by cuisines from across the world, using fresh ingredients and no preservative. Get free delivery on first 3 orders. FreshMenu New Coupon For April 2019 - Place an order of Rs.200 & above and get flat Rs.100 at FreshMenu. Offer for new users only. Use Couponrani Exclusive voucher code to avail this offer. Get latest FreshMenu coupon codes, discount coupons, promo deals & FreshMenu offers at COUPONRANI.COM. The offer is valid until 30th April 2019. Box8 New User Offer - Get flat 50% off on All-in-1 Meals. CouponRani Exclusive - Place an order of Rs.250 & above and get flat 30% off at FreshMenu. Use latest FreshMenu coupon code to avail this offer. Applicable to all products. Max Cart Discount is INR 100. The user can use the code 5 times in a month. Get free delivery on first 3 orders. Coupon For April 2019 - Big 10" Meat Eater Pizza @ Rs.49. Get 15% cashback up to Rs.150 on order Via Airtel Money Offer at Dominos. No coupon code to avail this offer. Order now and get more discounts. Dominos Coupons for April Month - Get flat Rs.150 cashback on pizza ordering via Paypal wallet at Dominos Pizza. No coupon code required. Order now and get more discounts. Pay for your first meal using Paytm and get Get 20% cashback up to Rs.100 at reshMenu. No coupon code required. Order now and get more discounts. Buy April Steal Deal at Mojo Pizza. Get up to 50% super cash on order via Mobikwik wallet at Dominos. No coupon code required. Order now and get more discounts. Give us your email so we can send you Food Ordering Coupons once a day and our biweekly newsletter. Looking to order food online. Nowadays ordering food from home is very easy and simple. Not only its easy but lot of food coupons are available for free use which can give you discount on your food order. You can go to top online food ordering sites like Foodpanda, Dominos, Pizza Hut, Swiggy and many other sites. And if you are planning to go to restaurant and have, you can even book your seats at restaurants near to your place. Check out Nearbuy which will offer wide rage of neighbourhood restaurants to choose from. Moreover ordering food online has one more benifit which is savings. You can use the food coupons to order food online or make reservation at restaurants, you will save lot.